The infamous Beatles Butcher cover (shown above) made its limited appearance in June 1966. After Capitol Records sent out copies of the album to distributors, disc jockeys and reviewers, the company was besieged with angry protests over the grisly photo. It marked the first time that the Beatles judgment was severely and universally criticized. Faced with an unprecedented outpouring of outrage, Capitol recalled the cover on the eve of the album’s release. The story behind the album cover is now well known, featured and discussed in countless books, magazine articles and internet blogs and sites. Legend has it that the cover was the Beatles way of getting back at Capitol for dissecting and reconfiguring their carefully crafted albums. The cover was a brutal visual pun letting the world know that “Capitol Butchers the Beatles.” Stories also tell of Brian’s approval of the cover, stemming from his fondness for pop art and sick humor. Paul is given credit for being the Beatle who pushed for the cover. 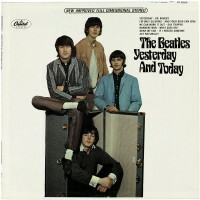 Once the cover was recalled, the Beatles were hastily thrown together for a replacement cover (shown below) taken of them surrounding a steamer trunk. Their bored facial expressions and body language show their disappointment and resentment that their cover of choice was pulled from the market before it even went on sale. And that’s pretty much what we have heard time and time again. Well none of that is true. The Butcher cover was not a Beatles protest of how Capitol treated its catalog. It was concocted by photographer Bob Whitaker, who shot an entire series of bizarre photos of the Beatles during the session. His inspiration for the Butcher photo was the book Die Puppie [translated The Doll] by German artist/photographer Hans Belmer. Brian was not in favor of the cover. He hated the Butcher photo and was concerned as to how it would adversely affect the group’s image. But as manager, he had to push for and defend the cover, even taking blame when it blew up in the Beatles faces. Paul was not the Beatle pushing for the cover. It was John, who saw it as a way to bust the group’s image as angels and show they were aware of life. The trunk photo was not taken after the album was recalled in mid-June 1966, but rather a month and a half earlier. In fact, the original cover design prepared by Capitol for the album (shown below) used the trunk image, which was sent to Capitol by Brian Epstein. And, if not for fate, Brian and John, the blue trunk cover would have been the album’s cover upon its release. 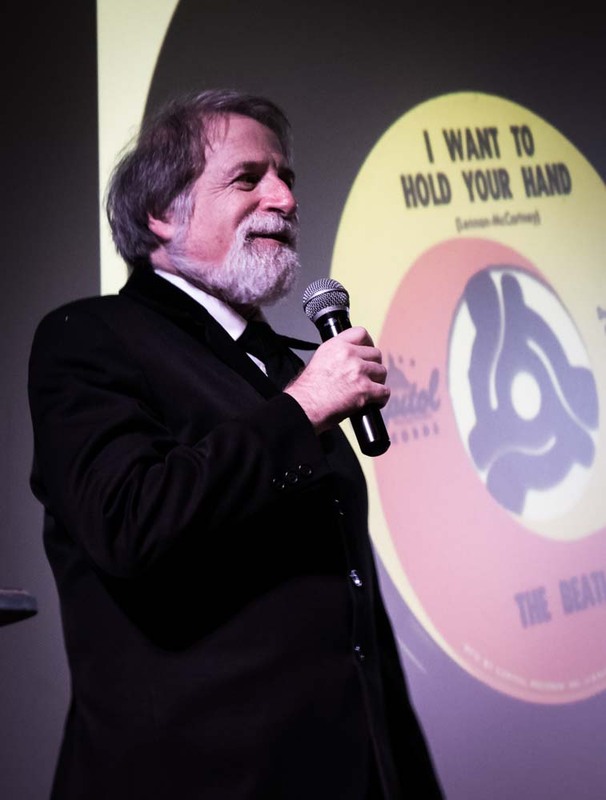 The full story is too long to print in this column, but can be found in the revised and expanded digital edition of “The Beatles’ Story on Capitol Records, Part Two: The Albums,” which is now available for immediate download. The book devotes 80 pages to Butcher and Trunk covers, complete with all of the essential color and black & white photos from the Butcher and Trunk photo sessions, photographs of Bob Whitaker at work during the Butcher and Trunk sessions, four alternate trunk designs and several Capitol memos and letters regarding the covers. An edited version of the story appears in the June 2016 issue of Beatlefan magazine. For those interested in learning how the Butcher and Trunk covers came to be, I urge you to check out the Beatlefan article and the Capitol album digital book. I will be giving a audio/visual presentation on the Butcher cover at the August 2016 Fest for Beatles Fans in Chicago. I hope to see you there!